OAKLAND, Calif. (KGO) -- Caltrans crews are set to remove the last piece of a Bay Area relic this week. 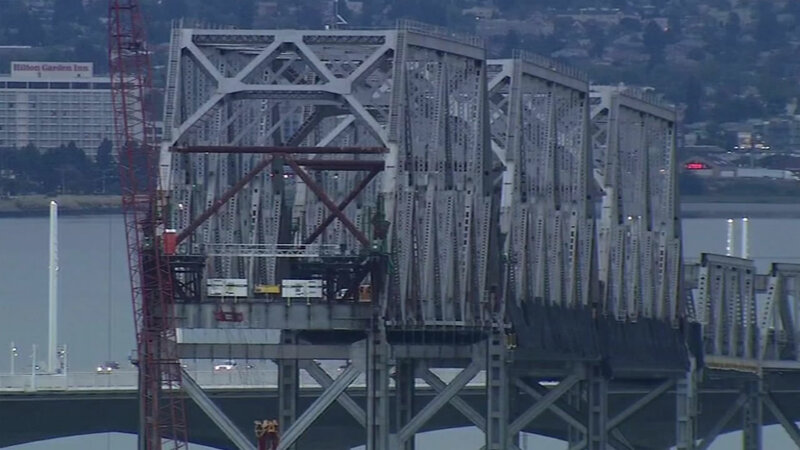 The last of the five biggest steel sections of the Bay Bridge will be lowered onto barges below this week. The section will be brought to the Port of Oakland where it will be dismantled for scrap.